They clean the air, brighten a bare corner and never answer me back. A child of the seventies, I vowed never to have them in my own home. My mother had them everywhere and woe betide you if you moved or knocked them out of place. As a clumsy teenager those houseplants were my nemesis! However, over the last few years they have multiplied and grown, and I have welcomed them into our home with open arms. They clean the air, brighten a bare corner and never answer me back. 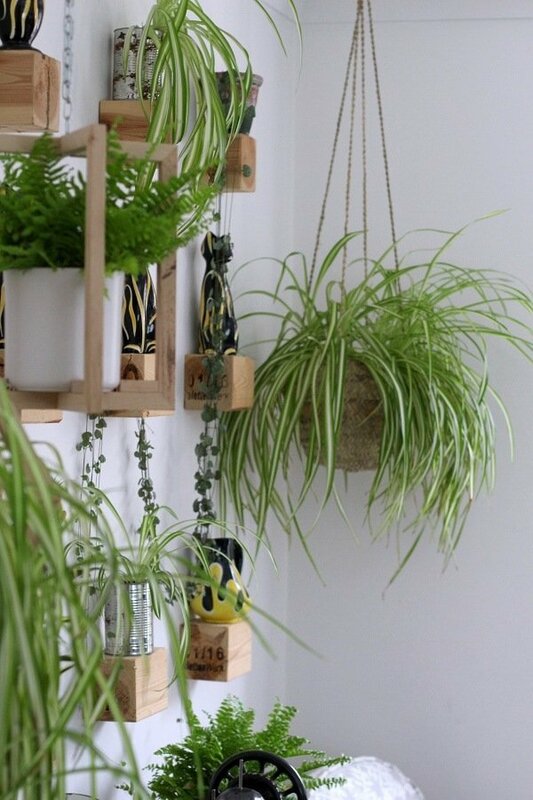 Plants in attractive holders are an ideal and cheap way to refresh a room or change up your accessories. A child of the seventies, I vowed never to have them in my own home. 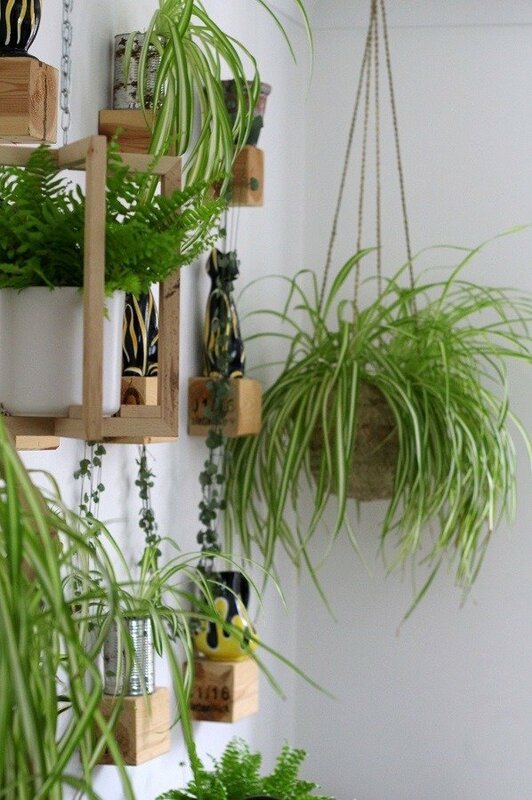 The more you have the more time you need to give them, feeding, watering trimming and generally making sure they are happy in the space you have allocated to them. What to do with them when you go on vacation, my Mum used to stand them in a bath of shallow water and that’s what I do too. You may lose a couple, but hopefully the holiday will more than make up for it? 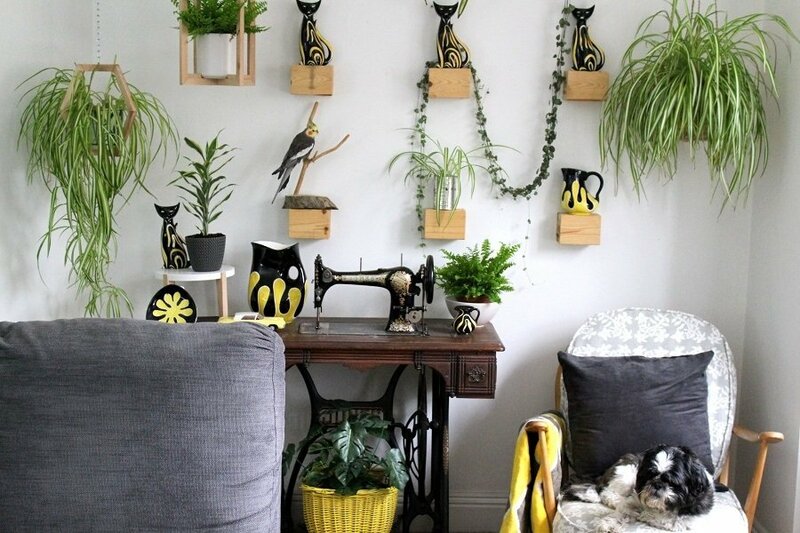 Group your plants all together in a room, this way the display will be more striking, and you will not forget to water them. Mix them up according to their heights, just like in the garden, tallest at the back. 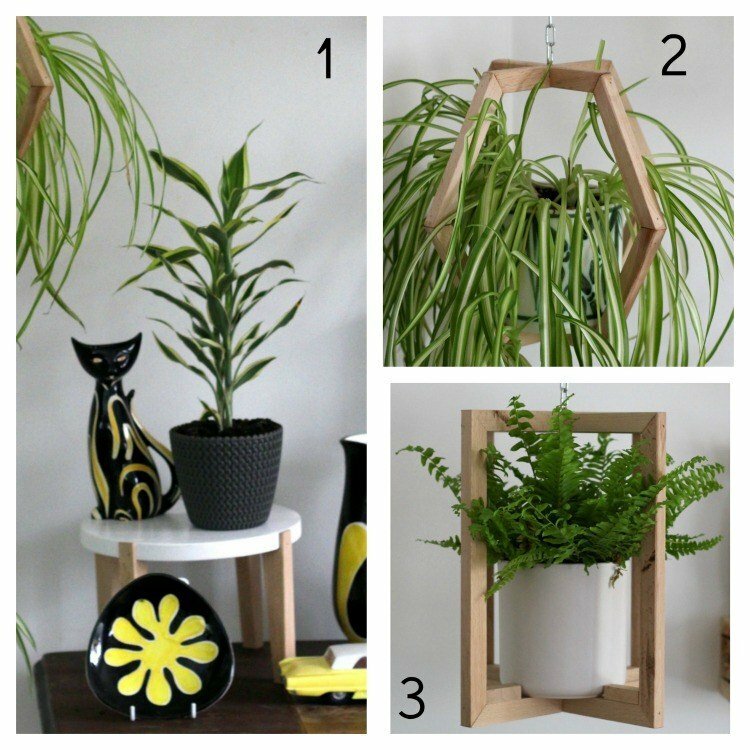 You could also use the rule of three and buy 3 of the same, always works when displaying plants inside or out. 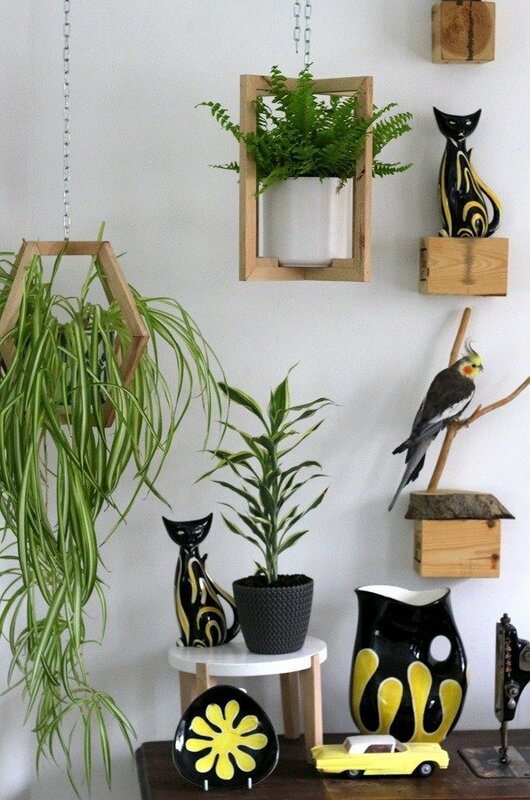 Display plants on different levels. This is the best advice I have ever been given (thanks Mum) Place some on the floor, some on the furniture or a shelf and some look amazing hanging from the ceiling. When you group your plants together sometimes you can tell a story or suggest a theme. 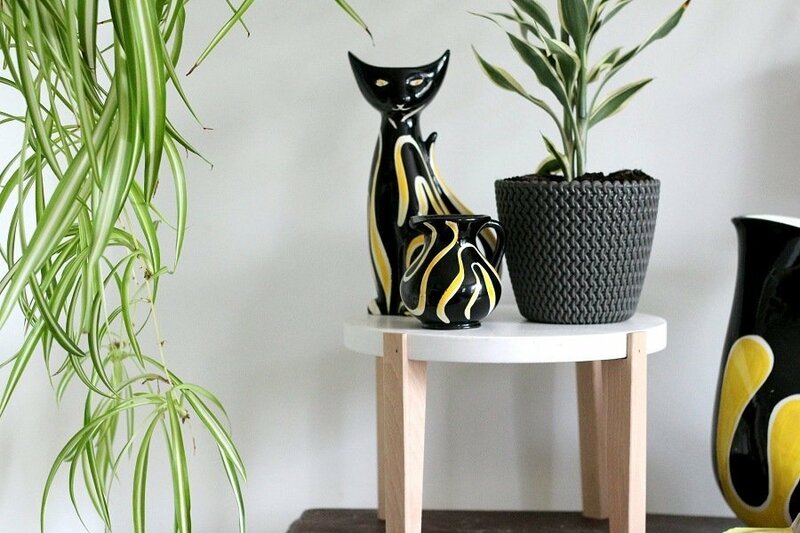 In these photos I have gone for bright white with yellow and black vintage ceramics. You could suggest a jungle or an English garden? It depends on the plants, you may want to bring in a colour scheme with your pot holders or the planting. I have covered this wall with living greenery and it works beautifully, people’s eyes widen in delight when they see it. Go bold or go home is how I like to decorate. I have covered this wall with living greenery and it works beautifully, people’s eyes widen in delight when they see it. 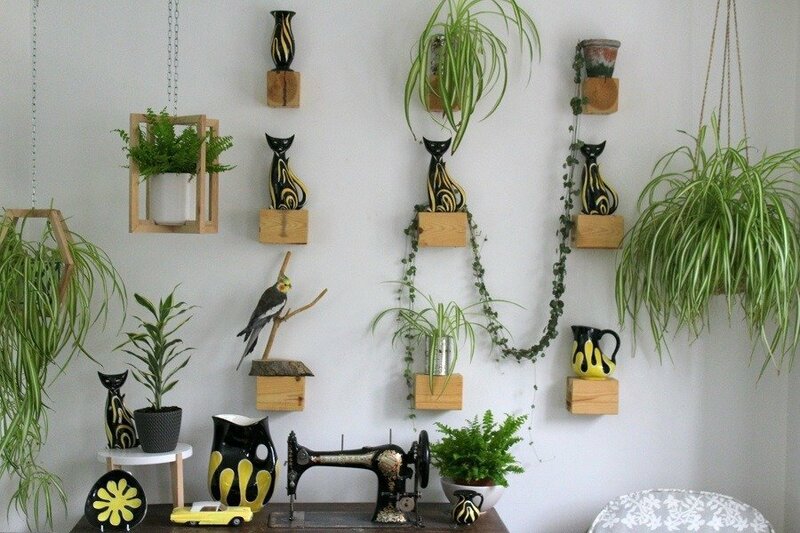 I am sharing my latest Wayfair hanging plant pots and little shelf for this post. 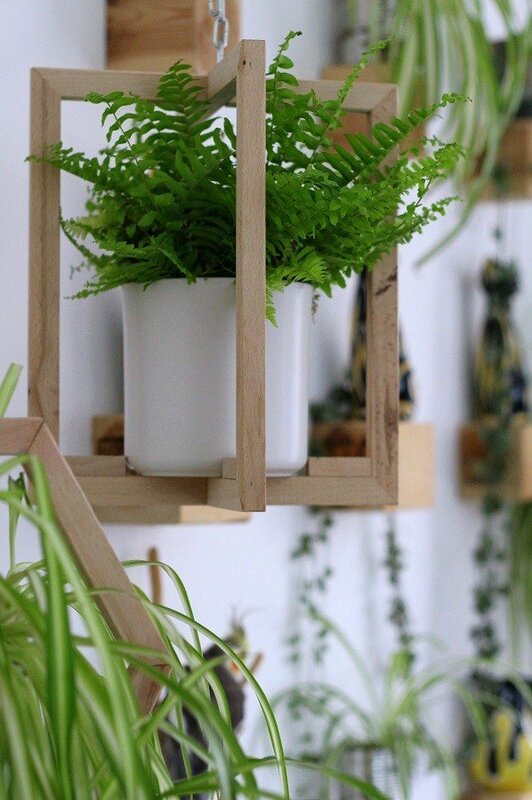 They are super handy for displaying your favourite plants and the little ‘shelfie’ table adds another dimension to the ‘levels idea above. 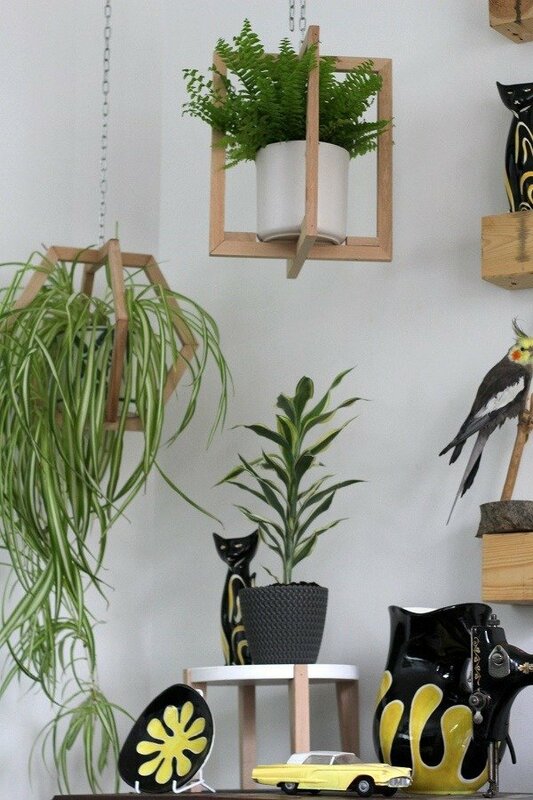 Plants truly are an artform and you’ve displayed yours beautifully. We all know how healthy they are as they contribute to the air quality in a room. I will now be adding to my collection! I love the atmosphere of a room with real greenery in it very natural and relaxing..
MT I toohave neglected a few plants, I become easily confused as to who needs what and who likes water and who does not! I like to buy my plants from garden centres, I think HOME DEPOT is your equivalent of our B&Q am I right? I noticed some buds a few days ago, when I was bringing it in from the garden as it lives outside in the summer months, so will keep checking to make sure it’s fed and watered now the flowers are on their way. ‘She’ sounds very interesting, I had a cactus flower this year too. So amazing, but they only lasted a day! Thanks for the Wayfair links too, their range is SO vast it’s hard to find anything, I get scrolling fatigue when looking for things…! 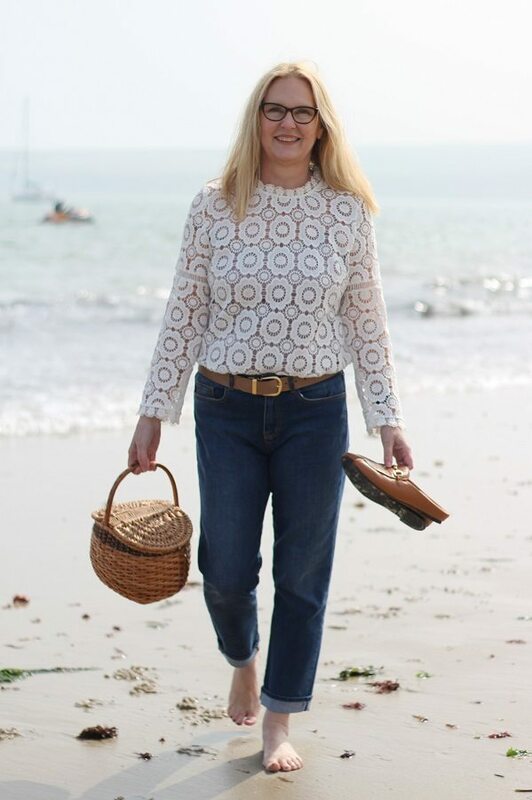 Hi Catherine, Im looking forward to seeing your plant collection too! I cant wait to get my hands on that one, I have a perfect place ready for it to grow and grow!